British Prime Minister Theresa May is expected on Wednesday to indicate a date for quitting as the price for getting her twice-defeated Brexit deal ratified, while Parliament tries to select its own alternative from a multiple-choice list of options. 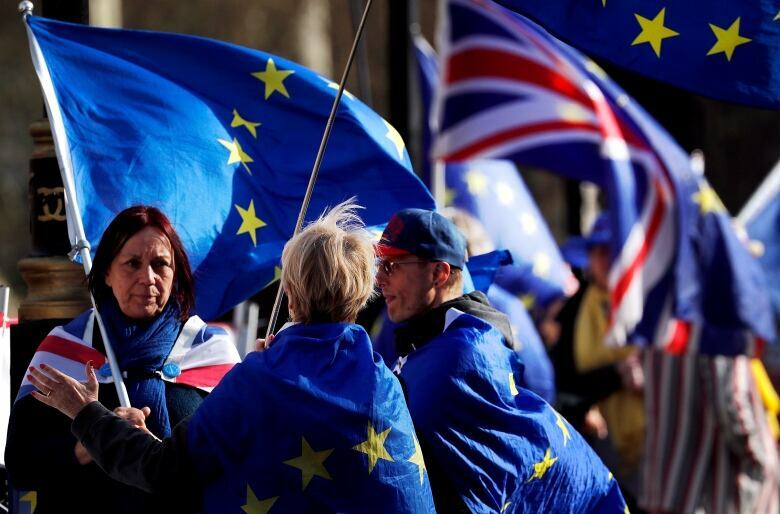 With British politics at fever pitch, lawmakers on Wednesday grab control to have so-called indicative votes on Brexit, with options ranging from a much closer post-exit alignment with the EU to leaving without a deal or revoking the divorce papers. Just two days before the United Kingdom had been originally due to leave the EU on March 29, some of the most influential Brexit-supporting rebels, such as Jacob Rees-Mogg, have now reluctantly fallen in behind May’s deal. She is expected to indicate a date for her departure at a showdown with Conservative Party lawmakers at a meeting of the 1922 Committee in Westminster at around 1 p.m. ET. The 1922 Committee consists of all back-benching Conservative MPs and carries considerable influence over the party’s leadership. Before that, the House of Commons is scheduled to debate the various alternatives, after which lawmakers will be asked to vote for all of the options they could accept. The most popular ideas will move to a second vote on Monday in hopes of finding one option that can command a majority. Lawmakers will vote at 3 p.m. ET on a ballot paper for as many proposals as they wish. Results will be announced after 5 p.m. ET. Meanwhile, the chief of the EU Council said the bloc should be open to welcome Britain at the European Parliament’s May 23-26 election even as it prepares to leave. He said it is “unacceptable” to think, as some do, that Britain should not take part in EU business as the country prepares to leave.